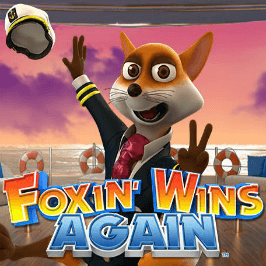 Following on from his mansion-themed debut in the Foxin' Wins slot, the fantastic Mr Fox is at it again. 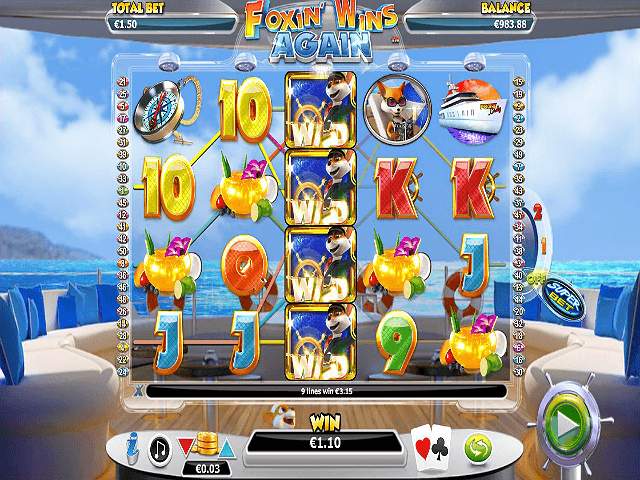 This time it's over five reels and 50 paylines in the Foxin' Wins Again video slot from NextGen Gaming (NYX). Now he's swapping his plush country pad for a deluxe boat (somewhere way too exotic for a furry fox). Slick gameplay and interesting gambling features make this game a winner if you like to get interactive with your slots! Get up to C$1,000 + 175 Extra Spins! C$500 Welcome Bonus + 100 Extra Spins! Join the army of Casumos trying to "erase boredom" at Casumo Casino. Armed with partnerships from a wealth of the world's top game developers and over 500 popular slot titles, slot lovers and the casumos are prepared to fight back against boredom among Canadian casino dwellers! $1,500 Welcome Bonus + 150 Zee Spins + 500 Zee Points! With over 40 software providers onboard, Playzee and their very own chemist, Zeegmund, have created the perfect gaming formula for every slots lover online! 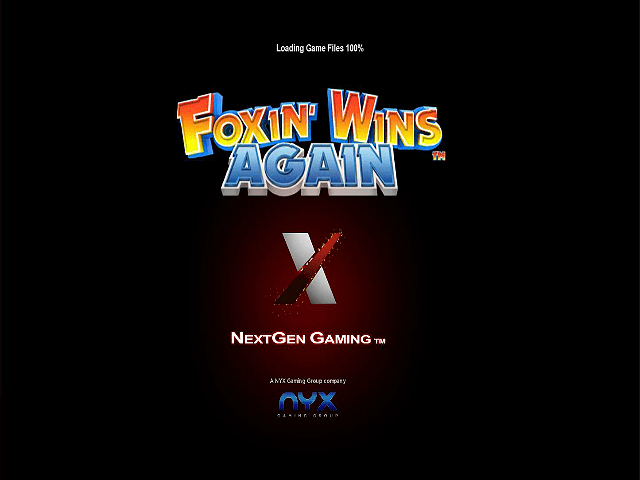 After the success of NextGen's original Foxin' video slot, it was no surprise to see the sequel launched in the guise of Foxin' Wins Again. In case you're not familiar with our wily friend Foxin' – he struts around the globe flaunting his wealth and living the high life. This time the slotscape takes you onto Foxin's plush aquatic palace (AKA his boat) where you'll find him chilling on the deck. You can chillax yourself on the comfy sofas while Foxin' spins the captain's reel that he's projected onto the deck. The fox-fuelled iconography includes the colourful symbols of Stacked Wild chillaxing fox, playing card letters and numbers, the Fox boat, Compass and Fish bowl cocktails. 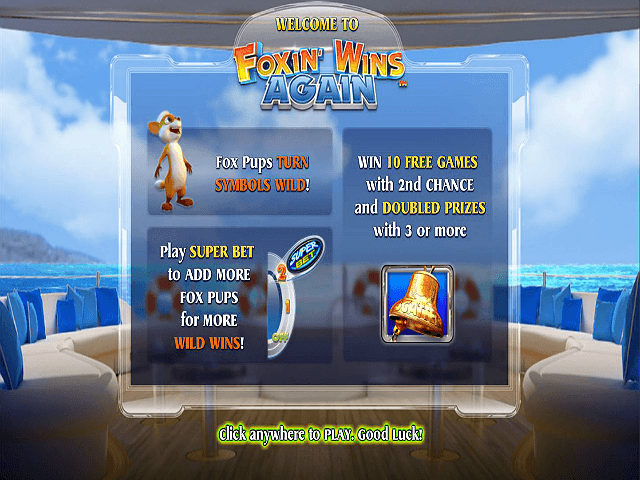 Plus there's the added power of bonus Fox Cub Wilds (yes Mr Fox brought his foxy missus) and the Ship's Bell scatter – launching bigger payouts, free spins and re-bet gamble options. The game looks like a cartoon style video game – bright, brash, colourful and as slick as new money can buy. With a return-to-gamer level average over 95%, there's also nothing sly about the payouts. Foxin' Wins Again has an element of risk to it that needs weighing up in terms of your gaming budget. By selecting the Super Bet options you activate the chance to get the Fox Pup Wild land on all five reels (100 coins) or reels two, three and four (75 coins). This is compared to only reel three with the standard 50 coin bet. It can potentially skyrocket your wins, but it can also eat into your bankroll. Typically it's a feature you'll probably want to use sparingly, when you're on a hot run. Finding the Ship's Bell scatter on the reels is the key to bonus payouts and free spin rewards. Five scatters pays out a huge 5,000 coin jackpot. To trigger free spins, you need to match three or more scatter icons, to collect 10 free plays. The aforementioned Fox Cub Wild appears more frequently during the free spin bonus. A cool element of the bonus is the chance to replay if you're not thrilled with your winnings first time around. Free spin winnings come with doubled returns when three or more Bells land. 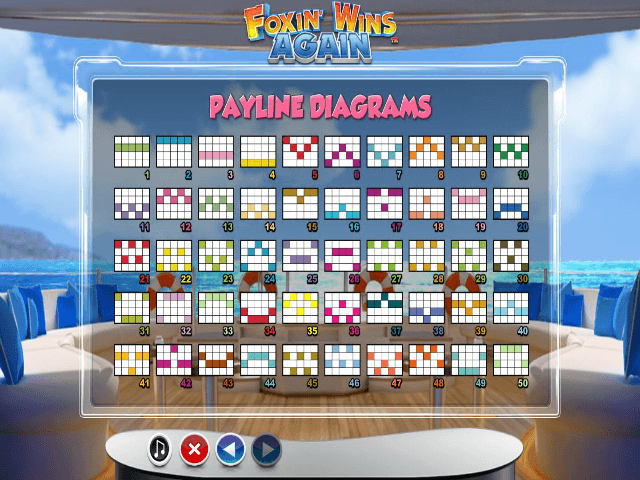 The fantastic verdict: Foxin' Wins Again is a slick follow-up to the original Foxin' Wins slot. It has a fun vibe, nice payout potential and some intriguing elements of gamer-controlled gambling. If you like Foxin' Wins Again - You'll like these slots too! © 2011-2019 SlotSource. All Rights Reserved. SlotSource.com is a registered trademark.